More than just a temperature change, cooler weather affects the air, habits, and even sleep. It’s time to pack away your flip-flops, and bring out the pumpkin spice lattes. Fall is here, and the colder winter temperatures are on their way. Besides staying warm, winter brings its own unique challenges for sleep. From dry air and more frequent colds, lots of these may steal slumber. Let’s take a look at sleep concerns specific to winter and how to cope with a drop in temperature. Add more comforters and blankets to your bed, but make sure they also feel breathable. Layering is better than having one thick, heavy blanket. With both thick and thin covers, you can pull layers off through the night if you get too warm. This makes it easy to maintain your optimal comfort level with minimal hassle. Natural fabrics are more breathable than synthetics for your base layers. Cotton and bamboo are nice for sheets with a duvet, down comforter, polar fleece or wool blankets on top. Flannel sheets or covers can be soft and comforting in colder weather as long as it fabric is good quality so it does not pill or become stiff after a few washes. Jersey knit sheets are also becoming popular to beat the winter chills! Electric blankets, mattress warmers, and heating pads can help, but older products should be inspected carefully to avoid a fire hazard. Make sure you use newer, quality tested products and inspect cords and components before your first seasonal use. 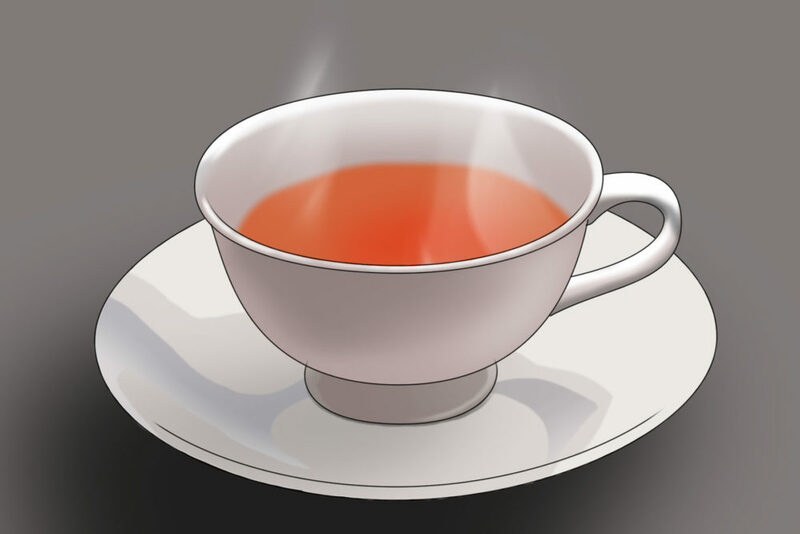 A cup of hot, caffeine-free tea can increase your core temperature and tell your brain it’s time for bed. If you get cold easily, it may help to warm your body before going to sleep. Choose cozy pajamas and dress in layers. Layers not only trap body heat to keep you toasty warm, but allows you to quickly get comfortable you feel too hot. Long-johns, flannel shirts, and polar fleece pajamas are great choices. Throw a sweater overtop of a t-shirt for added heat. Wear socks or slippers to bed as your feet often feel the cold first. To increase your core temperature slightly, drink hot tea or water with lemon and honey before bed. Just make sure it is caffeine-free or you will have trouble falling asleep. Take a warm shower or bath before bed, or do light exercise, such as stretching or deep breathing to warm you up. If possible, cuddle! Borrow some warmth from your partner. In cooler weather, people are more likely to congregate indoors. With exposure to more people in smaller spaces, you increase your chances of coming in contact with someone who has the cold or flu and catching it yourself. One of the keys to keeping a strong immunity system is being well rested. Studies show that T-cells go down and inflammatory cytokines go up during sleep deprivation, making us more prone to catching a cold or flu. So ensure you are getting enough sleep to ward off illnesses, and if you’ve caught a bug, prioritize rest so your body can more effectivity fight it off. The dry winter air coupled with indoor heating often makes skin itchy, hair brittle, and gives clothes static cling. It also may negatively affect your sleep, causing you to snore, cough, or wake with a scratchy throat, bloody nose or muscle cramps. Luckily, there are a number of ways to get a little more moisture into your home. The easiest solution is to purchase a humidifier or steamer. Department stores, groceries and larger pharmacies all typically offer a few models. Fill your machine with water before you go to bed and let it run through the night. If you are at home, run it during the day too. For simple DIY ways to add moisture to the air, hang wet clothes to dry, put pots of water or wet towels on registers and radiators, or leave bowls of water around the house. You can also spruce up your decorating with potted plants, water filled vases for flowers, or a water feature which will serve double duty of releasing moisture into the air. If your housemates don’t mind, leave the bathroom door open when you are showering, or leave some water in the bathtub so it can evaporate naturally into the house. Mattresses have a lifespan of around 8-10 years, after which they lose support and start to become less comfortable. Find yourself tossing and turning at night and waking up less refreshed? Check your mattress to see if it is sagging, lumpy, creaking, or there is an impression left where you were sleeping. These are all signs that you should replace your mattress. There are a few perks to the cooler weather – most importantly, the holidays and Black Friday shopping. If you need a new one, check the Black Friday sales to snag yourself a good quality mattress for a great bargain. You probably know it’s best to sleep in a dark room during the night. But you’ll also want to make sure you are getting enough light during the day. In northern zones, the sun shines a lot less during the winter. You may feel like staying in bed longer. But, if you feel lazy or lethargic during the day, this may be a sign you aren’t getting enough sunlight during the shorter winter days. When exposed to sunlight, your body produces vitamin D. This essential nutrient keeps bones strong, boosts immunity, and helps fight off numerous diseases. Try to spend some time each day outside. At the least, sit near a sunny window if you are oversleeping or feeling sluggish or agitated during the day. You can also try light therapy or talk to a doctor if the darkness of winter drains your energy. In extreme situations, a lack of sunlight can result in a depression-like disorder caused Seasonal Affective Disorder (SAD). 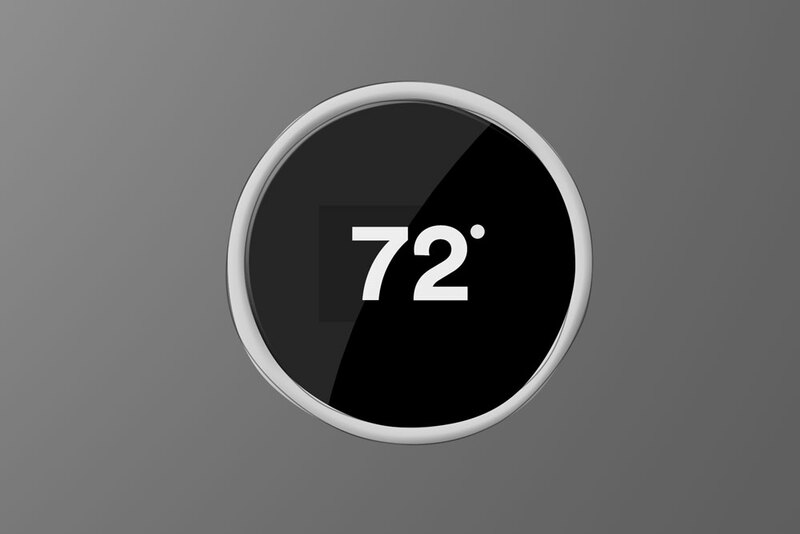 A thermostat that’s smart enough to manage your home while you’re gone can save money in the long run. Want to keep your house warm without the sting of an excessive heating bill? There are a few more eco-friendly things you can do to keep your bedroom at a comfortable temperature for less money. Invest in a programmable thermostat. Drop the temperature a few degrees while you are at work and in the middle of the night. Have your furnace kick in before you come home and when you get out of bed in the morning. You will be heating the house when you need it the most, and saving energy when you are away or bundled up in bed. Find and repair the source of cool drafts. You may have to re-caulk windows or invest in a plastic window covering kit to keep out cool air during the winter. If there is a draft coming in under your bedroom door, roll up a towel or blanket and place it at the base. Check outside doors as well too make sure they prevent drafts. Use your stove or oven to cook supper – it will add a little heat to the air while you make yourself a meal. Just don’t forget to turn the oven off when you finish. Space heaters may also offer more concentrated heat where needed in larger, more open homes. This can be more efficient than heating a large house, depending on the space heater. Always be sure to check safety information and inspect before a new season. Besides getting a good night’s sleep, exercise and eating well are the key to helping you survive winter with minimal discomfort. As daunting as it seems to step outside in the snow, you will feel better by keeping a regular exercise routine throughout the winter months. Go to a gym or join an indoor soccer league to stay active out of the cold. Or, take up snowshoeing, skiing, or skating for an outside activity. You may feel like eating heavier, comfort food through the winter months. But, it is important to maintain a well-balanced diet through the entire year. Steer clear of warm, caffeinated beverages at night, and spicy or acidic foods if you are prone to heartburn. There is no need to hibernate like a bear through the winter months. Use these tips to keep warm, healthy, and well rested and in no time the flowers will be blooming for spring.